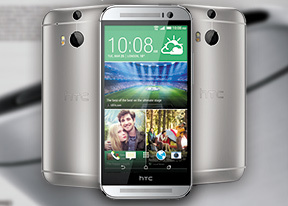 Superb to look at and hold and extremely capable, the HTC One (M8) is a proper flagship smartphone. The development team behind it deserves praise for improving the strengths of the first generation while also addressing some of its biggest shortcomings. The metal body has been improved and while the front facing speakers have been matched by Sony they are still a strong point in favor of the One (M8), against the likes of the Samsung Galaxy S5 and LG G2. The presence of a microSD card slot means HTC's finest is also getting the cheaper memory expansion afforded to many of its rivals. The chipset got an update to Qualcomm's latest Snapdragon 801, meaning that the KitKat-topping Sense 6.0 runs as smooth as you'd expect. Speaking of the latest version of the HTC launcher, the new gesture controls and notification area toggles go a long way towards improving the user experience. Android purists will also appreciate that the M8, like its predecessor, will be available in Google Play Edition guise. HTC has even partnered with Google to bring support for its dual camera to stock Android. Unfortunately, we can't avoid the elephant in the room that is the One's (M8) camera setup. After the UltraPixel backfired last year, you would've thought the company would go for a safer option this time around. Fewer but bigger instead of more but smaller pixels sounded great on paper but the company underdelivered and all the supposed advantages of the bigger pixels simply weren't there, demoting the original HTC One to an also-ran in the cameraphone race. They are back for another round this year, but unfortunately, we doubt the same 4MP sensor will take them any further. If last year's move brought them a financial bruise or two, it's only going to get uglier this year. You see, last year, about the time the HTC One was announced (February 2013), most competitors still had 8MP cameras with the Xperia Z being the only one with 13MP (image quality wasn't much better than an 8MP camera anyway). The year was soon to bring a huge improvement in cameraphones though. The Lumia 1020 brought its 41 MP PureView tech to the table and Nokia followed it up with a couple of 20MP devices (Lumia Icon, Lumia 1520). The Samsung Galaxy S4, the Galaxy Note 3 and the LG G2 all came forward in 2013 with mature, high-quality 13M cameras on board. 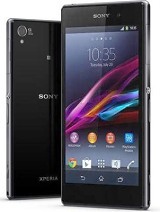 Sony went even further and by now, it has introduced not one, but three 20MP smartphones (Xperia Z1, Z1 Compact and Z2). That's not all. 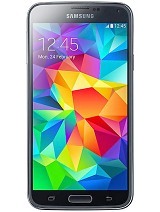 Top-of-the-shelf smartphones in 2014 all record 4K video (Samsung Galaxy S5, Galaxy Note 3, LG G Pro 2, Sony Xperia Z2). And they are certainly not kidding around, image and video quality is awesome. And what does the HTC One (M8) have on its side? It's got an improved 4MP camera, overcomplicated hardware trickery, which is only used for the seemingly trivial task of adding image effects in post-processing, and a mere 1080p video recording. That's all. Even last year's optical image stabilization - a key selling feature - is now gone as it's incompatible with the dual camera setup. Don't take this wrong. 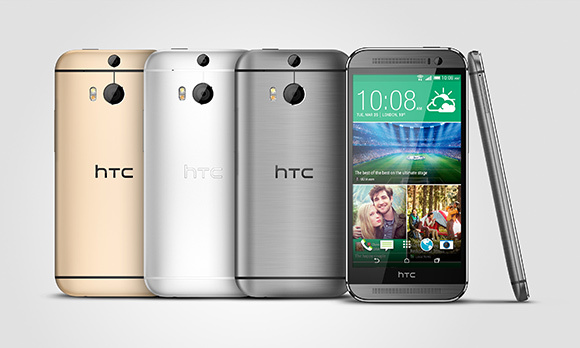 We love the metal body and the gorgeous display of the old and new HTC One. But if HTC found it to be a hard sell last year, they haven't seen anything. This year, the 4MP camera will be even harder to get away with. If you think we're being too hard on the HTC One (M8), think again. Camera comparisons with the other flagships are something the One will have to deal with. And they won't be any less tough. Then again, if all your shots end up in Facebook, this might not matter all that much to you. And the new 5MP front-facer can certainly do wonders for your selfies. Now let's have a look at what the competition has in response to the HTC One (M8). The Samsung Galaxy S5 is this season's Android hot favorite and with a faster 2.5GHz CPU and a higher-res 16MP camera with 4K video recording, it's quite a handful. The Korean flagship is no longer the ugly duckling of the flagship bunch with its leather-imitating back and while it can't quite match the metal-clad One (M8) for aesthetics, it has a far slimmer and lighter body that is also waterproof to boot. The HTC One (M8) does look like the underdog in this battle on paper, but there's more than specs involved here. Where you stand on the TouchWiz vs Sense question will probably be a decider as well. The Sony Xperia Z2 is the other noteworthy competitor, although if you happen to live in the US, you may wait for quite a while to get it. With a marvelous glass-and-metal waterproof body, stereo speakers and a 20MP camera, the Z2 is a force to be reckoned with. The overly wide bezels are what brings this particular package down, but things have certainly improved since the Z1 came around, so these are no longer the deal-breaker they used to be. 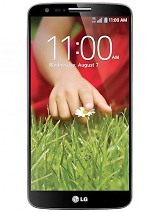 The LG G2 looks a bit old in this company, but it provides much of the same flagship experience at a lower price tag. It has to make do with a Snapdragon 800 chipset, rather than 801, but offers a 13MP OIS camera and innovative rear-mounted keys and unmatched screen-to-footprint ratio. Looks are definitely in favor of the One (M8) here though and so is expandable storage - so the extra bucks are probably worth it. Things have never been so close at the top of the premium segment. HTC has a key advantage here as, despite being the last to announce it, it will be the first to actually start selling its flagship. And a couple of weeks' worth of an advantage might be make or break in a market where the top makers are fighting over every inch - and using roughly the same ammo. Still, HTC will have to play its PR cards right and put the right spin on what looks like a camera blunder second year in a row. On a second thought, sticking that gorgeous metal body in the hands of the customers might just be enough.